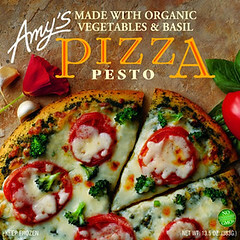 Both my husband and our children are huge fans of Amy’s frozen pesto pizza and we always have a couple in the freezer at any given time. My recent foray into yeast has opened up all sorts of culinary doors to me, and homemade pizza the most recent threshold I’ve finally crossed. Tonight I decided to make my own version of Amy’s with my own pesto recipe, some cherry tomatoes (I would have used regular tomatoes, but I happen to have three pints of cherry tomatoes in the house), and shredded mozzarella. 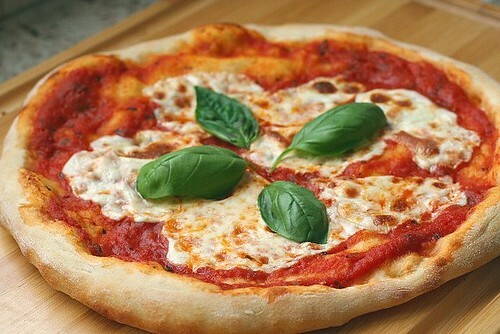 Since the recipe makes dough for two pizzas, I also made margherita pizza, using leftover marinara sauce and fresh basil from the garden. I did not stretch out the pizza as thinly as I should have and didn’t have fresh mozzarella. But all in all, it was still a success. One thing you need to buy if you plan to make your own pizza is a pizza stone (which is also needed if you want to bake bread in the oven). Sorry – there really is no substitute. 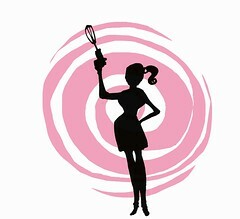 Mix flour, yeast and salt together in a large mixing bowl. Add the water and mix until until blended. 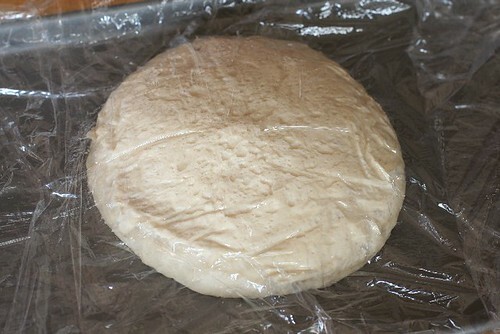 Cover and let it rest for 10 – 15 minutes to allow yeast to hydrate. 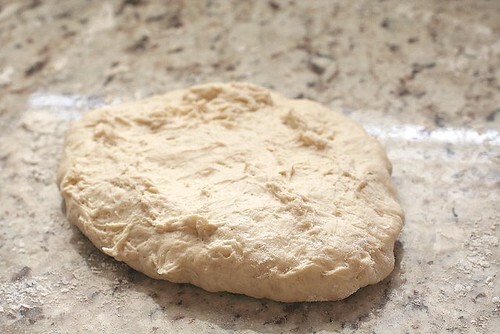 Knead dough for 5 – 10 minutes until fairly smooth. Cut into 2 pieces and shape each piece of dough into a tight ball. Place each ball onto a floured tray. Cover with plastic wrap and let dough rise about 5-6 hours. You might want to spray cooking spray on the underside of the plastic wrap – it will stick! Place pizza stone in 2nd highest rack and preheat oven to its highest setting (mine is 550° F). 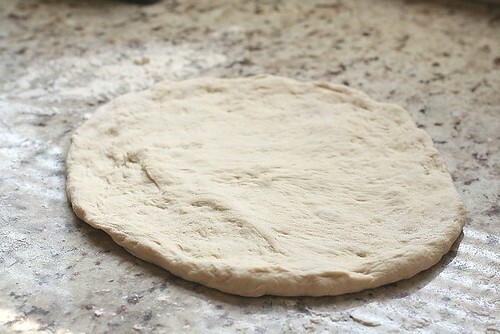 Flour the work surface and flatten out your fully risen dough ball with your hand and press into a disk. Pull out the sides (or you can try to get fancy like the pizzerias and use your raised fist to stretch out the dough). 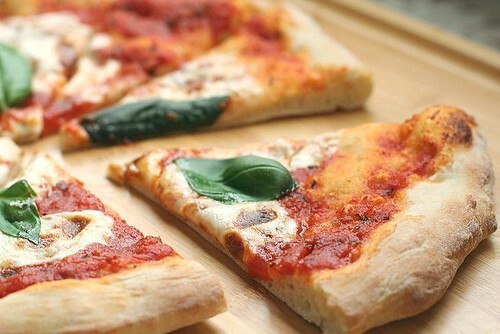 Place pizza on parchment paper (or pizza peel if you have one). 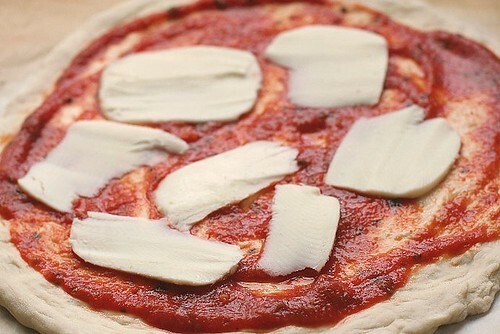 After placing toppings on the dough, slide pizza still on the paper on to the hot stone. Bake for about 6-8 minutes, being careful to not overbake. I realized afterwards that I forgot the broccoli. My daughter said it looked perfect – like it came from the grocery store. Awww. This is a great way to use leftover sauce. Garnish with fresh basil leaves and drizzle with extra virgin olive oil. actually, it was the keyword ‘pesto’ that led me here! i follow a website called paper pesto and they have a friday freebie lol. haven’t won it yet tho! 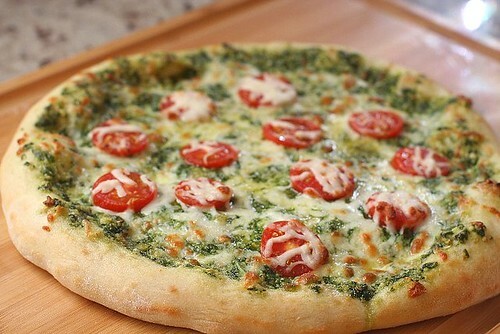 I love simplistic pizzas like this! 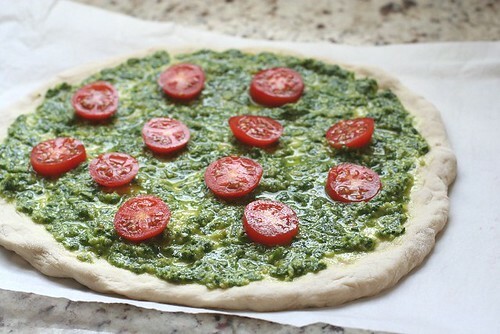 The pesto variation looks delicious. 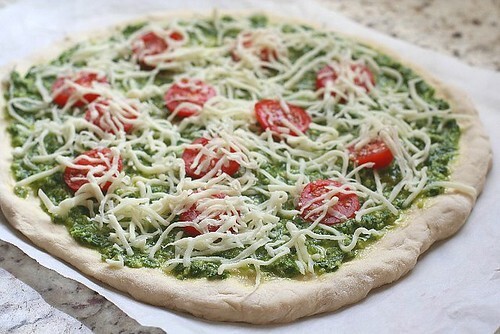 I like the one with the pesto, so yummy!